up until the first frost. 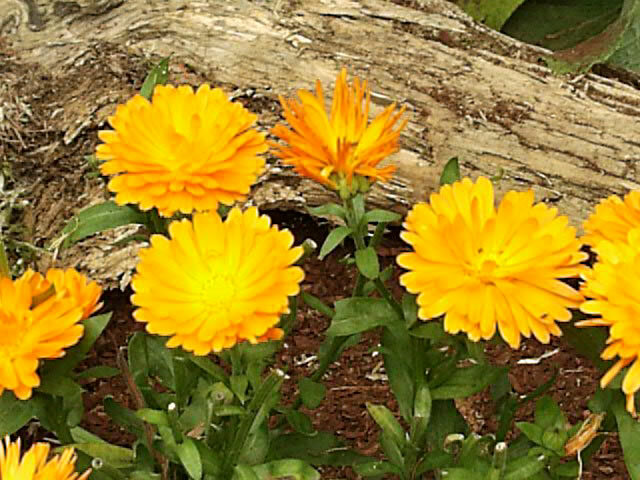 Calendulas are native to the Canary Islands, Europe, and North Africa. in shades and blends of yellow, orange, apricot and cream. and forming compact, 6" plants with pale green, lance shaped, aromatic leaves. making them a great companion planting for Tomatoes. English Marigolds grow best in cool climates. They should be planted 12"-15" apart in full sun, except in hotter regions where they will need partial shade in the afternoon. 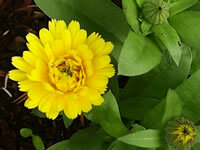 Calendula plants will grow in poor soil, but will thrive if grown in rich, fertile soil. Feed with an all purpose, water-soluble fertilizer every few weeks during the blooming season. Remove spent flowers regularly to promote continued blooming. Make certain that the seeds are completely covered with fine soil. English Marigold seeds can be sown directly in the garden in the spring. 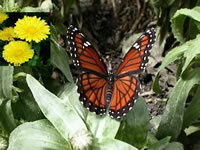 Calendula seeds can also be started indoors in the spring, for planting in the garden during the summer. Plant seeds ¼" deep and 2" apart. Maintain a temperature of 70° within the growing medium.